Chardham Yatra packages begin with Yamunotri and uproot to Gangotri, after which the pilgrim reaches Kedarnath and ends with Badrinath. Because of the significance of this spiritual route, devotees from all over India and the globe, want to visit here to experience the continual bliss. 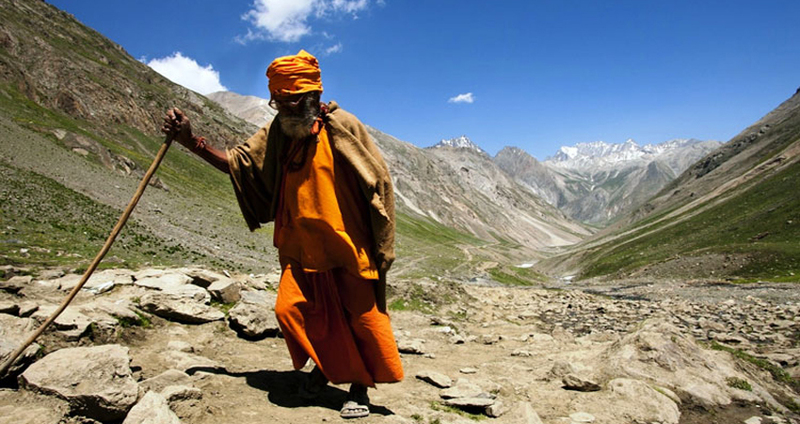 Char Dhams are hustling and demanding with activity in the time of the summer months in India, as thousand of devotees embark upon the holy Yatra. The pleasing surroundings of the mountainous area are only alluring, giving the Chardham devotees an ideal time to let everything leave them by filling their lungs with clean air. As well, these or else quiet and peaceful locales resound with the names of the Lord as the pilgrims go forward towards their destination. 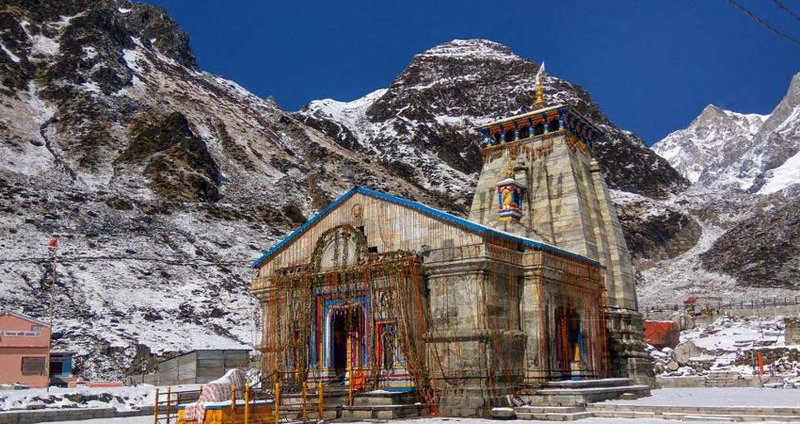 In Char Dham Yatra devotees visit to 4 Hindu spiritual destinations in Uttarakhand state of India. Holy Himalayas up in the cloudy heights of the majestic Garhwal Himalayas that beautify the outstanding state of Uttarakhand, wait for a refreshing religious familiarity for the devout. These are Yamunotri, Gangotri, Badrinath and Kedarnath. 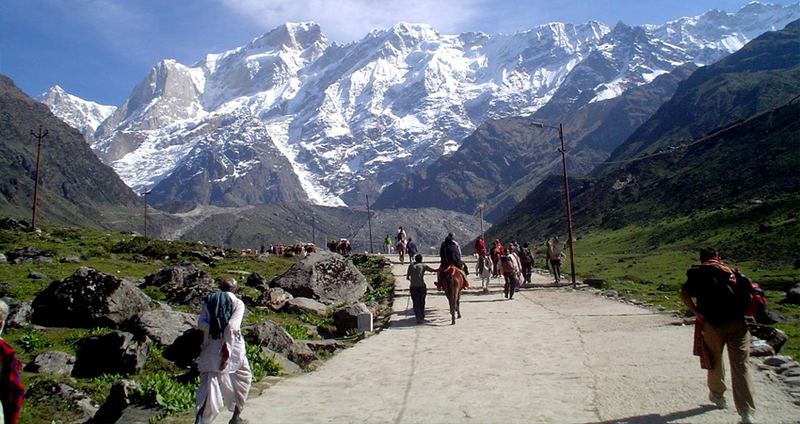 To be found in the way of superlative Himalayas, these 4 spots are the most important pilgrimage destinations of holy activity in north India. The Chardham Yatra packages begin with Yamunotri and uproot to Gangotri, after which the pilgrim reaches Kedarnath and ends with Badrinath. Between the 4 Char Dhams, Yamunotri and Gangotri are faithful to goddesses Yamuna and Ganga likewise. In difference, Kedarnath is dedicated to Lord Shiva while Badrinath is dedicated to Lord Vishnu. 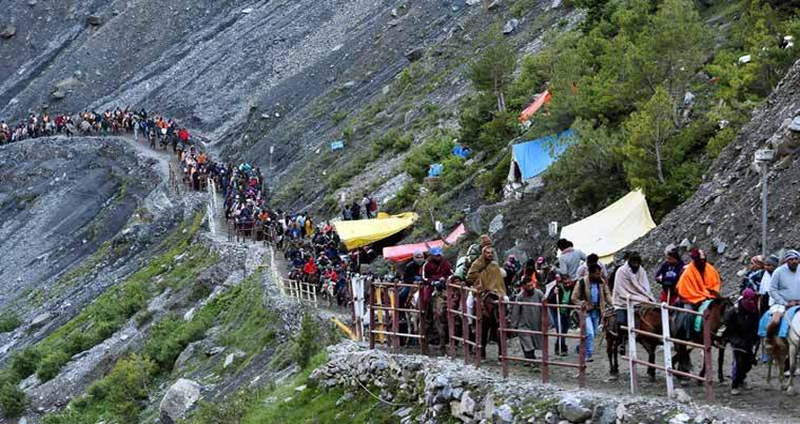 As well this, people also journey to Hemkund Sahib in the locality, which is one of the highest positioned religious places in the country. Thus, pilgrims visit all these places in aspiration of washing away their sins and to attain salvation, by the blessings of the Lord. Arrival Haridwar Railway Station, Meet and after breakfast drive to Barkot via Dehradun and Mussoorie. Enroute visit Kempty Fall and others later drive straight to your Hotel for night halt. 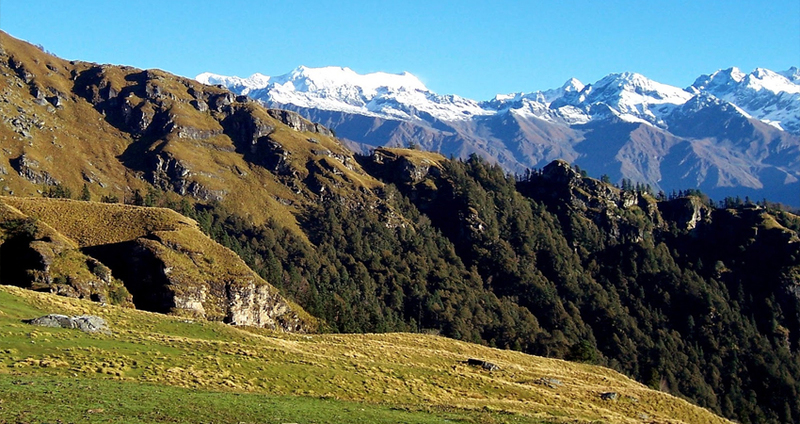 Drive to Phool Chatti, trek start from here to Yamunotri (7kms). Also by walk or by horse or by Doli at own cost. Arrival at Yamunotri, One can cook rice by packing it in a cloth and dipping it in the hot water of the hot kund. Pilgrims take this cooked rice home as "Prasad". Here near the temple "Pooja" can be offered to Divya Shila, after taking bath in Jamunabai Kund's warn water and having "Darshan" of pious "Yamunaji" returning to Hanumanchatti. Later drive back to Barkot. Overnight stay at Hotel. We go on to Gangotri (3048 mts), enrooted we enjoy pleasing Harsil village, Bhagirathi River and the most magnificent view of the Himalayas. After Gangotri Darshan we return to Uttarkashi. Overnight stay at Uttarkashi. Early morning, visit Rudraprayag. And drive to Haridwar. Check in Hotel Later, Drive back to haridwar. transfer to Railway Station / Airport. Tour Terminate.